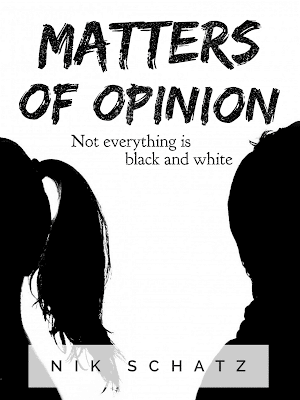 Nik Schatz: Latest E-booklet Available, "Matters of Opinion"
Latest E-booklet Available, "Matters of Opinion"
How can they watch that TV show and still call themselves Christians? I can't believe a Christian would dress like that at the beach. Nobody who calls themselves a Christian can vote for that person. We all know it's unhealthy, but we all do it - we compare ourselves with others. Christians especially do this. God never said He was running any kind of "Spirituality Contest", but we make judgments as though He were. In my latest e-booklet I take a hard look at Romans 14. While reading, I hope you discover that most personal standards in this life are not black and white. They are simply Matters of Opinion. Click on the "Books by Nik" tab above to read it now.